When visiting Las Vegas, it doesn’t matter if you spend your time hitting the casinos or traveling off the beaten path. Your trip will be an adventure to remember, regardless of how you spend your days. They say breakfast is the most important meal of the day, and with good reason. Starting a new day — or wrapping up a late night — is the perfect excuse for a hearty breakfast. Luckily for you, there’s no shortage of places to grab bacon and eggs, or something more creative like French toast coated in Fruity Pebbles. 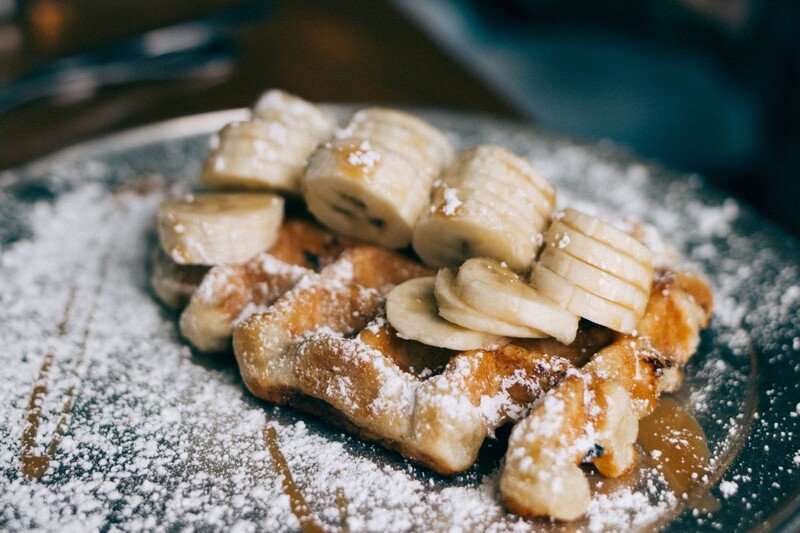 Check out our five picks for the best breakfast in Las Vegas, and start your next adventure. At Black Bear Diner, you’ll get to Instagram more than just your meal. This diner offers breakfast all day, and has a rustic ambiance with plenty of sculptures of its namesake animal. You’ll also find plenty of bear puns to help you create a witty caption. You’ll find more than just fantastic food and wordplay, however. The company gives back to local charities, along with the National Parks Foundation and Make-A-Wish Foundation. What you’ll find: Traditional diner fare, including benedicts, pancakes, and bacon, eggs, and toast. Price range: A meal with 2 eggs, hashbrowns, toast, and bacon costs $9.69. Address: There are three locations across Las Vegas, along with one in Henderson. Find the closest location here. Hash House A Go-Go serves a wide variety of its namesake hash, all of which are topped with two eggs, and served with fresh fruit and a biscuit. Offerings range from salmon, cream cheese, red onions, and potatoes, to a vegetarian version with mushrooms, potatoes, artichoke hearts, sun-dried tomato and fresh spinach. You’ll also find Benedicts, scrambles, and even breakfast quesadillas. 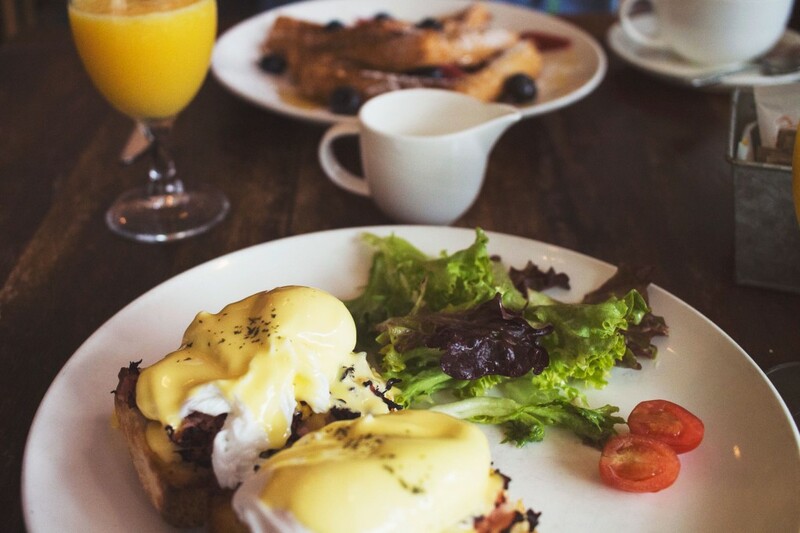 Hours: Exact times vary slightly between locations, with brunch typically starting by 7:30 a.m. and lasting until 11 a.m. during the week, and 5 p.m. on weekends. Address: Three locations across Vegas, including ones inside Plaza Hotel & Casino, and The LINQ. See them all here. 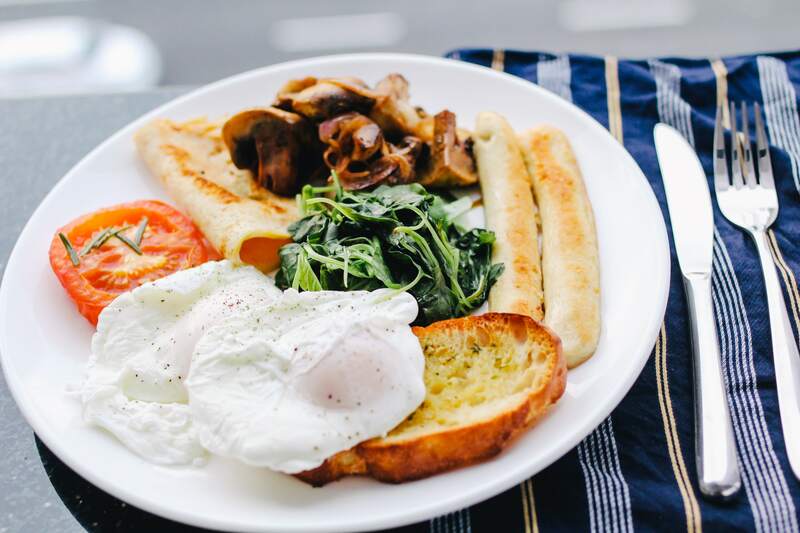 At the trendy Born and Raised, you’ll find a mix of traditional and creative breakfast options. Check out the breakfast burritos, or try some of their more creative fare. These unique options include French toast coated in Fruity Pebbles, breakfast sliders made with Spam, egg, and Sriracha aioli, and a fried chicken and donut sandwich. Check out Egg and I for traditional American breakfast fare that’s just like the diner you love at home. This family restaurant serves all classics for breakfast, like omelettes, pancakes, and skillet meals. If you’d rather have lunch options, don’t miss the homemade soups, sandwiches, and burgers. What you’ll find: Traditional diner fare, including omelets, skillet breakfasts, and waffles. That mini Eiffel Tower isn’t the only place to pretend you’re in Paris during your Vegas trip. For a more authentic experience, check out Bouchon. This upscale restaurant, hidden inside the Venezia Tower of the Venetian, is the perfect place to grab a French breakfast. 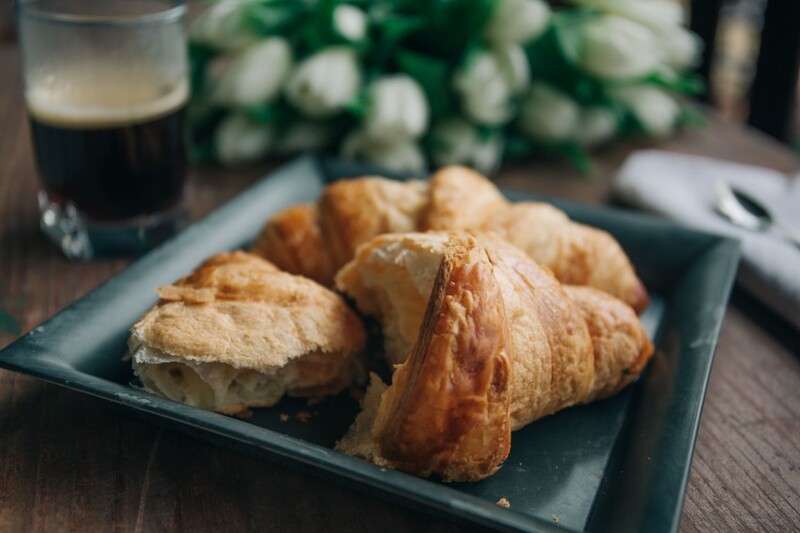 For a quick bite, try something from their wide variety of pastries, including croissants, pain au chocolat, and blueberry muffins. If you’re feeling fancy, enjoy the Escargots à la Bourguignon, featuring Burgundy snails in parsley-garlic butter with a puff pastry made in Bouchon’s bakery. You’ll also find beignets, crepes, Benedicts, and more. Hours: Breakfast hours are 7 a.m. to 1 p.m. during the week, and 2 p.m. on weekends. Don’t let your Vegas culinary adventures stop with breakfast. For more restaurant suggestions, check out a few of our other favorite restaurants, and stay nearby in one of our furnished Las Vegas apartments. We’re PC Housing, and we offer short- and long-term housing in furnished homes for travelers across the United States and Canada. Get in touch with us today to learn how to live like a local on your next trip.